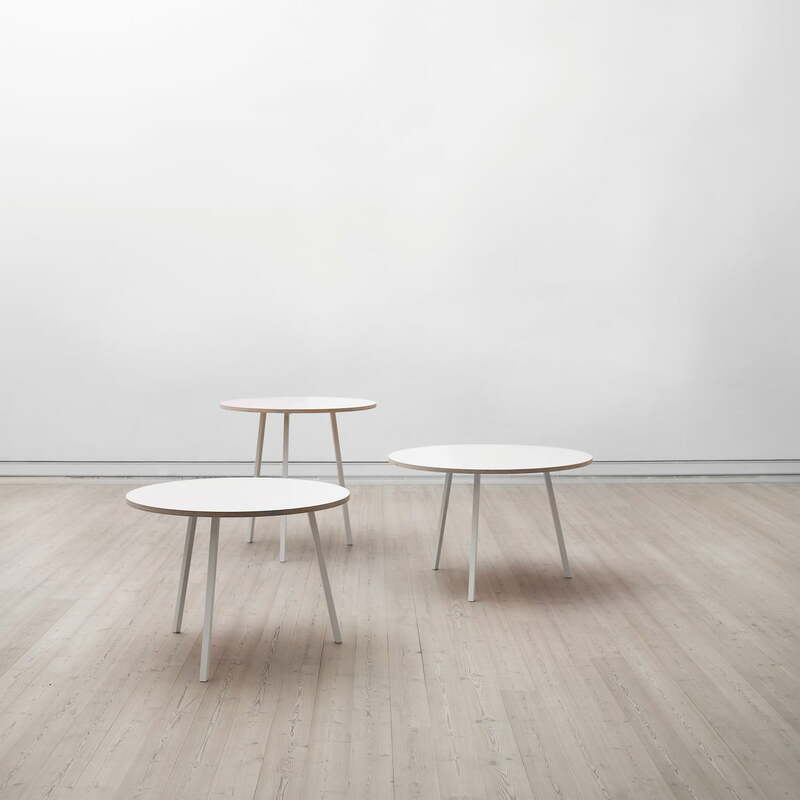 The Loop Stand furniture is designed by Leif Jørgensen for Hay. The series consists of simple, functional basic furniture that is affordable. 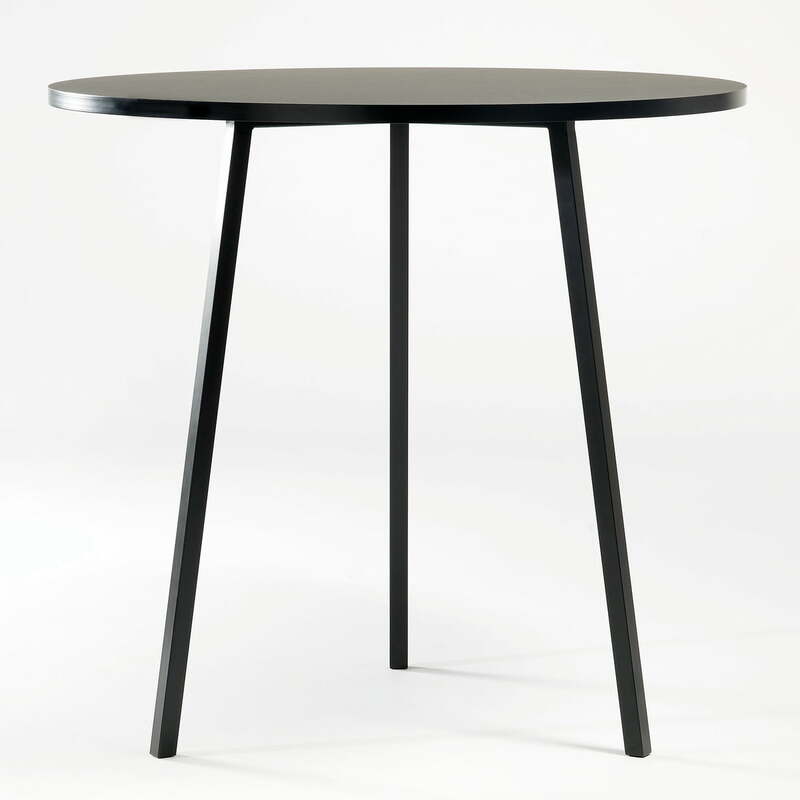 The Loop Stand Bistro Table is the highest table of the series. Also the Loop Stand Table comes along surprisingly simple. Its flat surface ends with the borders. At the black variant the board (linoleum) and borders (ash wood) are lacquered in one colou, what makes the table noble and chic with its three legs. 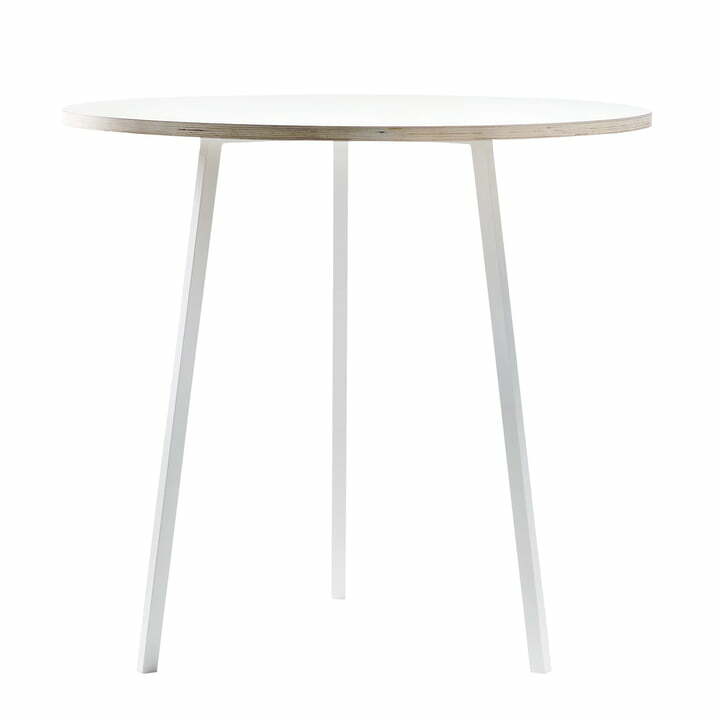 In white, the borders of the table top (laminate) are natural (plywood), what makes Loop look like a classic Scandinavian holiday-house table. The legs are out of lacquered, powder coated steel. Loop was coined by Leif Jörgensen. The Danish architect and designer proved his secure room-feeling that has also helped him by shaping Scandinavian Diesel-Brand stores. Jörgensen and his Loop series suit perfectly the exclusive collection of the Hay company out of Horsens in Denmark with their clear Scandinavian design-note. The Loop Stand Bistro Table is available in further variants.